Chi-pin is an improvising violinist (which is something of a rarity) whose adventurous use of effects to enhance his sound and consummate skill on the instrument make for a thrilling experience for audiences. Kai-ya is an innovative and exciting composer and arranger, fusing genres and styles seamlessly, and is no slouch as an improvising pianist/keyboardist. 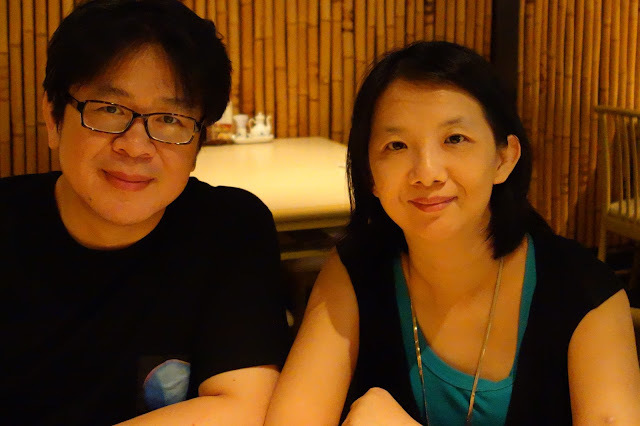 Violinist Chi-pin Hsieh and Pianist Kai-ya Chang are two native Taiwanese who grew up with classical and pop music. After working for a time as professional musicians in performance and in recording studios, they developed an interest in jazz, and decided to study it in depth. 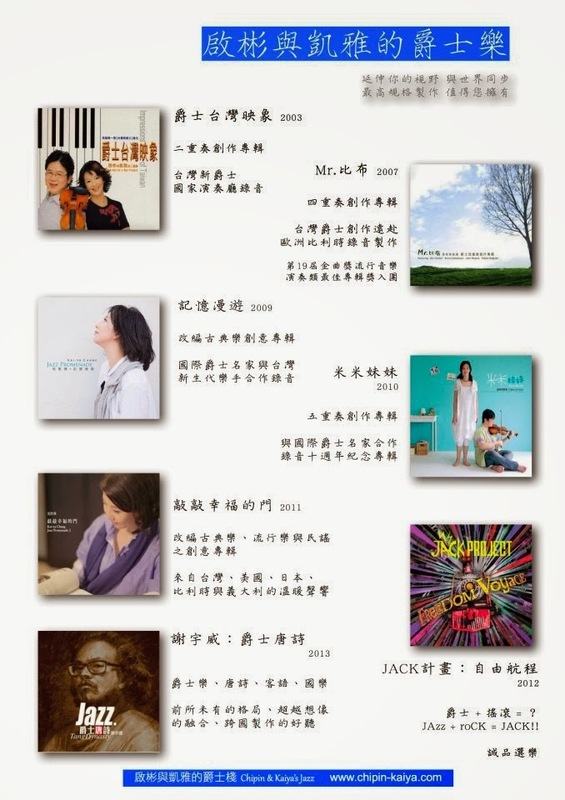 After five years study, they each graduated with Master’s degrees from the Jazz Department of Royal Conservatory Brussels, Belgium, and returned to Taiwan in 2002 as cross-genre professional musicians and active educators. They featured on the Java International Jazz Festival in Jakarta, Indonesia, and tour Japan regularly. They have performed in Israel, and South Africa and have recently been invited to perform in Siberia. The most recent performance was the special guests of Polish contemporary vocalist Anna Maria Jopek. 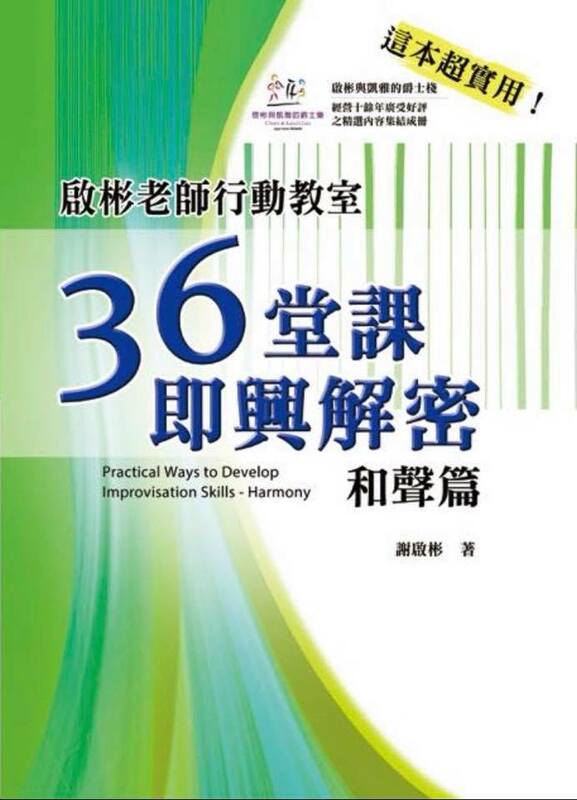 In addition to their active performing careers, Chi-pin and Kai-ya are enthusiastic educators. They are so passionate about spreading the jazz message, that they founded the annual Taipei International Summer Jazz Academy (TISJA) & Festival in 2004, offering a unique education opportunity for young jazz musicians & listeners. 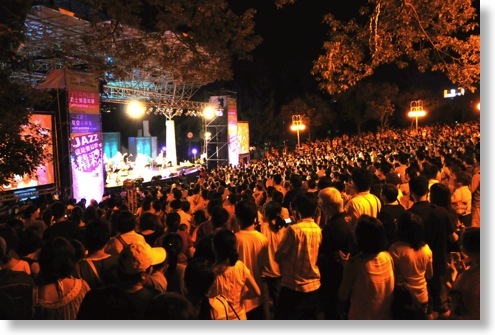 The academy and festival has connected Taiwan to the world by inviting numerous jazz masters for concert performances and teaching. 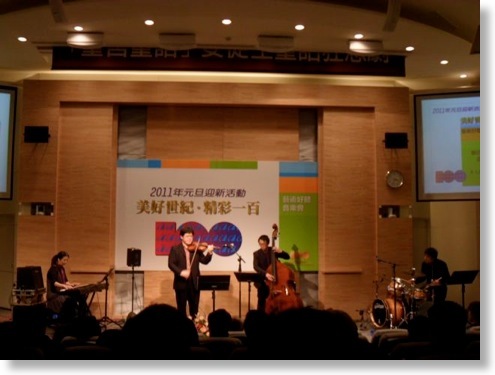 TISJA now is the only international-level jazz educational institution in Taiwan & global Chinese world, and one of the biggest large-scale annual jazz academies in Asia. Violinist Chi-pin Hsieh and Pianist Kai-ya Chang are two native Taiwanese who grew up with classical and pop music, they were all professional musicians working for records and studios before they were interested in jazz music, for exploring the broader musical world, eventually they made up their mind to study jazz in Europe, after five years study, they were all graduated with master's degrees from the Jazz Department of Royal Conservatory Brussels, Belgium, and went back to Taiwan in 2002 as two professional musicians and active educators. Chi-pin & Kai-ya are definitely capable of various musical styles - Swing, Bop, Fusion, Funk, Tango, Contemporary and Latin music are all they like to perform, the repertoires they played in various local venues cover different jazz styles, include stylists and composers tributes, jazz classics and re-arrangements of fruitful subjects, they often perform in the duo format locally, but jazz quartet and quintet setting are also their frequent orchestrations. 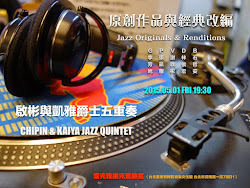 Chi-pin and Kai-ya always consider themselves as serious Taiwanese jazz musicians, they are not only looking for new musical ideas , but also composing and developing those ideas into aspiring performances. The debut album "Impressions of Taiwan" is the extension of Taiwan New Jazz conception, by absorbing the atmosphere of phenomenal European jazz and the nature of traditional American jazz, Chi-pin & Kai-ya would like to add more "Taiwanese flavor" into their original music - Childhood memories, life scenes, local landscapes and customs, even tasty snacks were all integrated into their compositions and improvisations, which develop one kind of oriental pleasing jazz style. 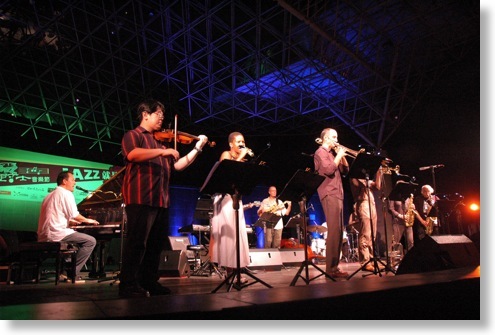 In March 2005, they represented Taiwan to perform in the Java International Jazz Festival in Jakarta. From 2007 to 2015, they performed and toured in Japan regularly. 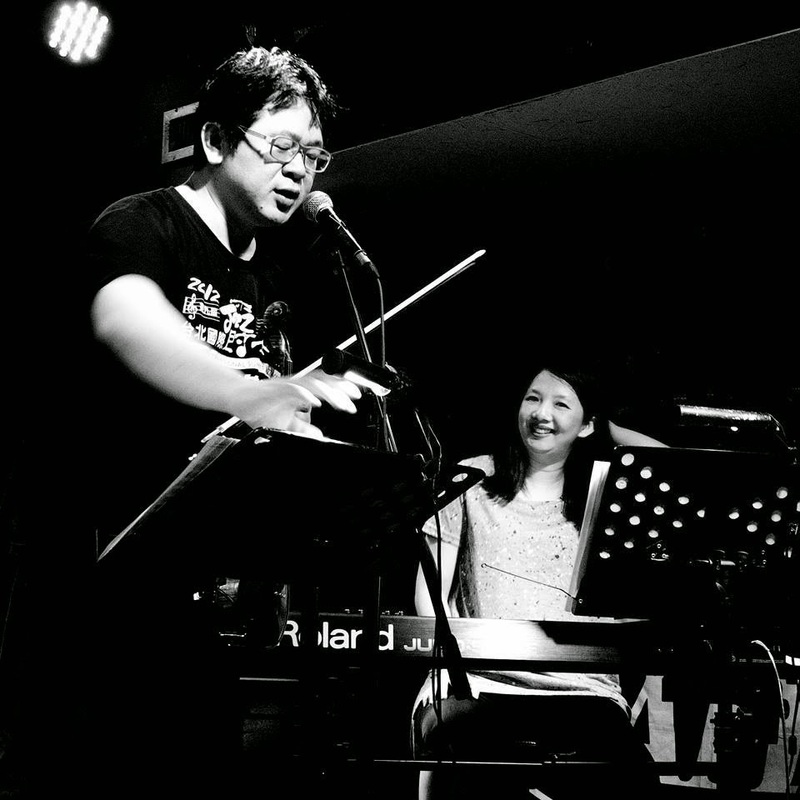 In November 2011, Chipin & Kaiya were invited to performed in Tel-Aviv, Israel, first time ever as the Taiwanese Jazz Group.A year later their quartet was invited again to Israel to perform at Yanshuf Bar, Shablul Jazz Club and Taiwan National Day Reception. In addition, Kai-ya was invited to record a composition of Dr. Arnon Palty with Dr. Michael Klinghoffer in Israel. In 2013, Chipin & Kaiya were invited to perform at SAJE Jazz Festival, The Crypt Jazz Restaurant and University of Cape Town in South Africa. In 2015, Chipin & Kaiya were invited to International College of Music for performance and masterclass at ICOM, Malaysia. The same year in May, they performed in Tokyo, in July, they were invited to perform at the Standard Bank Jazz Festival in South Africa. In September 2015 they were invited to Cape Town again to organize a series of concerts and workshops, between the South African Tour and the Russian performances in October, they performed together with the leading Polish vocalist Anna Maria Jopek in Taipei. Then they departed to Tomsk, Siberia, Russia to be the Juries, Performing Artists and gave master classes at the international jazz festival. In the March of 2007, three years after the debut album, Chi-pin & Kai-ya went to Europe to record a brand new album "Mr. BeBu" with first class European & American jazz musician, it was released in August 2007 and became one of the most popular and best-selling jazz album of the year. In the December of 2009, the third album "Jazz Promenade" was released, it contains rearrangements of the classical music. And in the June of 2010, the album "Mimi Meimei" was published. Chi-pin also launch his first new book called "JAZZ DNA" in 2011, in the end of same year, Kai-ya release "Jazz Promenade 2" album and the first book "Music Is So Interesting: Vol.1 - Intervals" as well. A year later Chipin & Kaiya released their latest album“JACK Project – Freedom Voyage”. 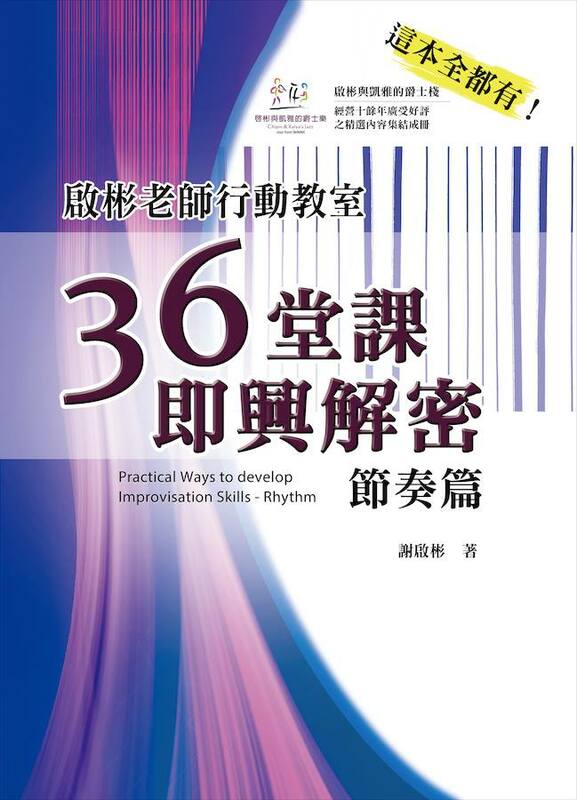 In 2013 Kai-ya released her new book “World of Jazz Piano Masters”, In 2016 Chi-pin released his new book "Practical Ways to Develop Improvisation Skills - Melody". 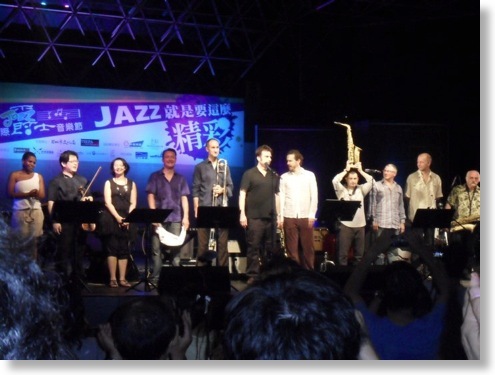 Besides, they keep active for performing, touring and being recognized as top jazz educators & instructors in Taiwan, and the leading Jazz Artists/Lecturers in the Chinese-speaking world. 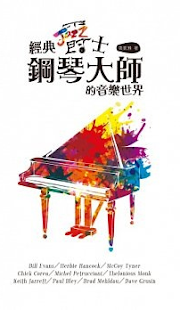 Furthermore they founded Taipei International Summer Jazz Academy & Festival since 2004, offer unique education opportunity for young jazz musicians & listeners, and connect Taiwan to the world by inviting numerous jazz masters for concert and teaching. 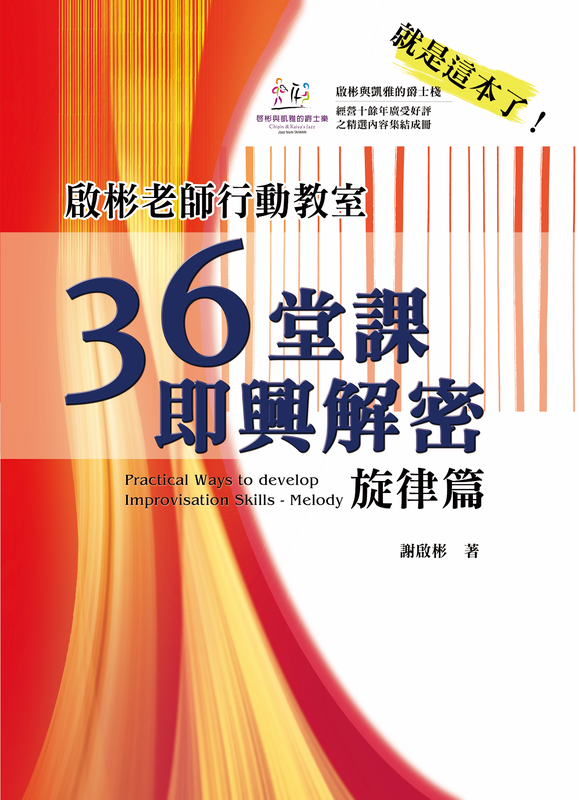 TISJA now is the only international-level jazz educational institution in Taiwan & global Chinese world, and one of the biggest large-scale annual jazz academy in Asia. Currently Chi-pin Hsieh & Kai-ya Chang both teach jazz & pop music in the department of music of Shih-Chien University, Taipei, and keep active throughout the whole Taiwan, Asia, & Africa. The international Jazz musicians that Chipin & Kaiya played with include John Ruocco, Rosario Giuliani, Judy Niemack, David Linx, Tutu Puoane, Fabien Degryse, Sal DiFusco, Joachim Schoenecker, Jean-Francois Prins, Bruno Castellucci, Mimi Verderame, Sebastian Kaptein, Bart De Nolf, D.D. Jackson, Lars Jansson, John Beasley, Bert Joris, David Smith, Steve Davis, John Allred, Alan Ferber, Amanda Tiffin, Seigo Matsunaga, Anna Maria Jopek......from USA, Europe, Africa & Asia. 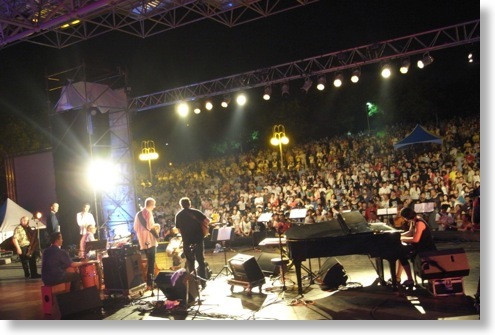 The International Jazz Group that TIJEPA invited include Milan Svoboda & Jaroslav Jezek Conservatory Big Band, Element of the Moment, A.S.K. Trio, Mulique, Koyo Conservatory Alumni Quartet & Senzoku College of Music All-Star Sextet......just to name a few. 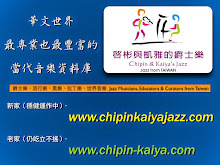 "Chipin & Kaiya's Jazzsite” ( http://www.chipinkaiyajazz.com ) is also the most professional and vivid jazz educational and promotional website in the Chinese speaking area. 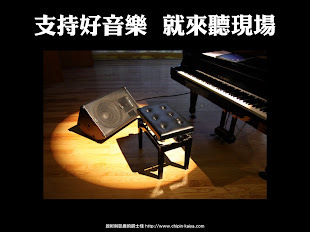 Since 2000 the jazzsite launched, there are already more than 2,800,000 visitors from Taiwan, Mainland China, Singapore, Malaysia, Thailand, Japan and Korea, etc, the contents still keep growing over last 16 years, and the website is well-known and authoritative. 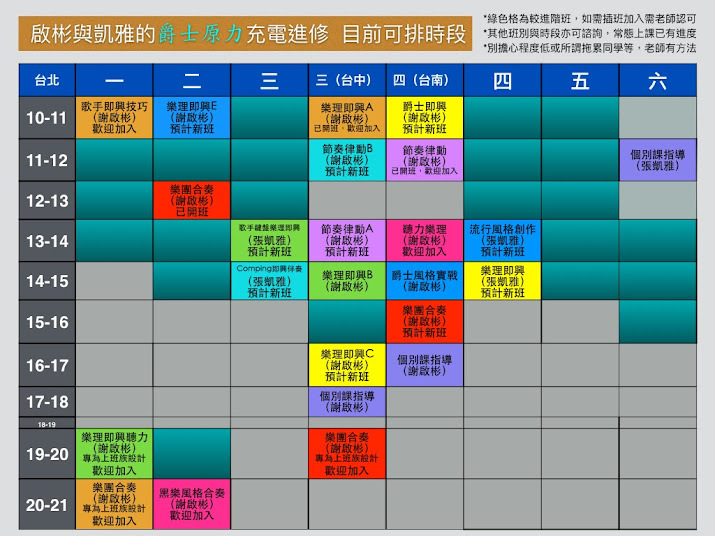 In the education field, they teach in the graduate school of music and music department of Shih-Chien University, and organize Taipei International Summer Jazz Academy (TISJA) and related Festival that were first happened in Taiwan for reaching its 12th year. They also gave master classes regularly in prestige jazz schools in Japan, Malaysian and the Standard Bank National Youth Jazz Festival in 2015. 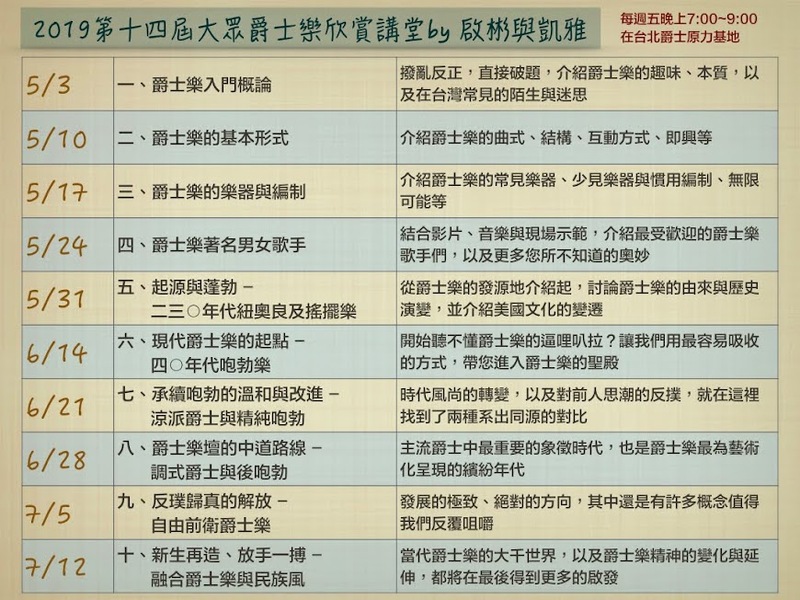 Besides the TISJA and the Jazz Festival, they were invited to hold many well-acclaimed theme-based interactive lectures by National Chiang Kai Shek Cultural Center (National Concert Hall), Council for Cultural Affairs, Fubon Art Foundation, K.H.S. Music Co. and Music Center of Ministry of Education…etc, not only educate audience but also train school teachers and professional musicians for Jazz & Contemporary music.From 2006, they cooperated with Department of Department of Cultural Affairs of Taipei City Government to present 10 lectures of Jazz Music Appreciation in the intersection of spring and summer every year, and introduced the profound jazz music in simple terms by interactive humor. 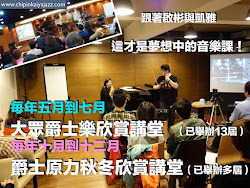 The ability to play, to write and to teach make Chipin & Kaiya's Jazz become the major force to spread jazz music, and bring more vitality to the jazz scene in Taiwan, and the leading role in global Chinese world!